Illuminating our cities and their architectural heritage in a sustainable manner is more than an useful service, it’s an exciting one. We believe that illuminating cities means enhancing them, giving a new light to them. For this reason, every day we manage the planning, the building and the maintenance of public lighting systems, architectural systems included, for historic town centres, squares and monuments. With the progressive increase of the number of lighting points, we increased our commitment to energy saving and to remove the effect of light pollution. We are in fact finalizing our project for replacing all the lamps of public lighting in Milan, Brescia and Bergamo with new LED based light sources. An innovative choice which we are bringing in new cities. We involve lighting designers for designing and building architectural lighting systems intended to enhance historical and monumental spots such as churches, palaces, historic town centres, designed according to the criteria and the general objectives established in the lighting urban plans. 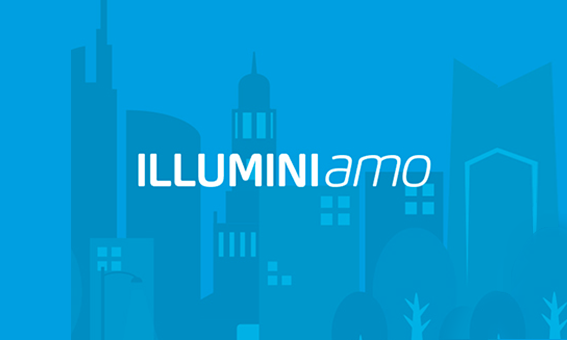 ILLUMINIamo is our free application intended to provide information to the citizens of Milan, Brescia and Bergamo on the progress of the project for the replacement of all the lamps of public lighting with new light sources based on LED technology.